If you or a loved one has been injured in an auto accident, call Zinda Law Group at (800) 863-5312 for a free consultation with a skilled car accident attorney. Insurance companies will try to find inconsistencies between the recorded statement and previous statements you made to police officers or in a deposition. These companies will also ask questions to trick you into responses that may ultimately hurt your claim. The insurance adjusters will act like they are trying to help you, when really they are trying to get you to say the things they need to hear in order to deny your claim. Even after you say no, they will try to persuade you that it is the right thing to do in order to move the claim process forward. Resist the temptation to acquiesce and stick to the basics: your name, address, phone number, and occupation. Tell the insurance adjuster that you will make a written statement at a later date. Try not to share many details about the accident, unless you have discussed this with a knowledgeable car accident attorney. If it is your insurance company that wants a recorded statement, your policy might require you to comply. Before giving the statement, it is appropriate to ask the insurance adjuster to point out the language in the contract you signed that requires this. At Zinda Law Group, our car accident attorneys have helped thousands of auto injury victims recover compensation for damages related to a crash, including medical bills, property damage, loss of income, pain and suffering, and much more. We will fight tirelessly to protect your legal rights, and as one of our clients, you will pay nothing unless we achieve a favorable settlement, judgment, or verdict. 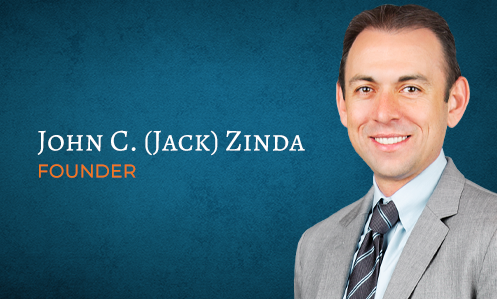 Call Zinda Law Group today at (800) 863-5312 for a free consultation with one of our skilled car accident lawyers.